Yoga being part of the transformation of medical and educational systems, becoming basic for individual and social growth. 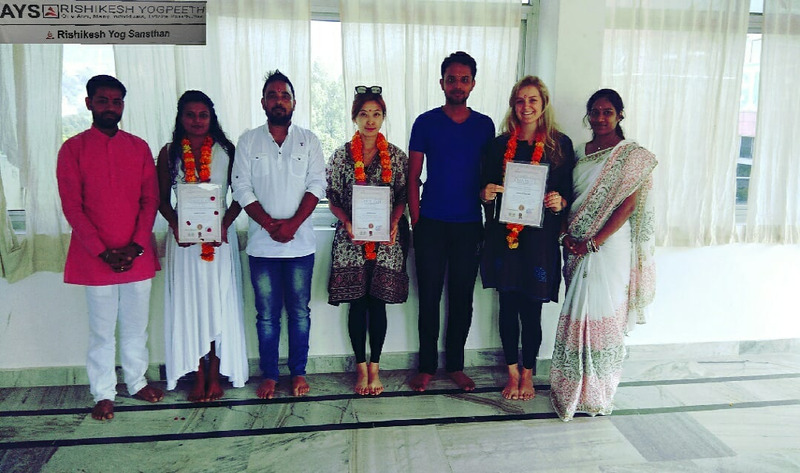 We,Rishikesh Yog Sansthanin Rishikesh took part in the development of Yoga with basic information as 200 hour Yoga Teacher Training Course (200 hour TTC). The student can get the personal health benefits and also enormous miracles in personality. Rishikesh Yog Sansthan spreading Yoga with well experienced Yoga teachers who can easily make student to know the ancient Yoga texts and practices. Yoga Teacher Training Course has the registration with Yoga Alliance and make the student's future strong enough to make their own profession. Hence students will not only just gain the personality but will be gained certification for future growth. Yoga as "the way of life" will be practically experienced with 200 hour Teacher Training Course at Rishikesh Yog Sansthan, Rishikesh. Hence the journey of Yoga will be made with Yoga Asana (physical postures), Yoga Kriyas (physical cleaning techniques),Pranayama(Breathing techniques), Meditation (silencing techniques), Sattvic food (Yogic diet), Raja Yoga (Biorhythm), Krida Yoga (social events) and Bhakti Yoga (devotional events like prayers at river Ganga) etc., Discussion onYoga Philosophy(concepts of ancient wisdom) and Anatomy and physiology of yoga practices will give an opportunity for exploring the depth Yoga. With this attempt Yoga can be adopted easily by any student and can be benefited at maximum from this school. Apart from these benefits, Yoga practices can be dealt in relation with the modern understandings like general walking, sports, house hold activities, job activities and mainly daily stress of anyone. With these discussions students can gain knowledge of ancient and modern lifestyle. As the likeminded people come together by written can make the process of evolution easier, we are happy to receive the future.